Draft: 2007, Baltimore Orioles, 5th rd. Jacob Joseph Arrieta… Married Brittany Young (11/22/08); has two children: Cooper Austin (9/25/11) and Palmer Ryan (12/31/13)… 2004 graduate of Plano East High School (TX), where he played baseball and football… Attended Texas Christian University… Hobbies: Golf, fishing, bike riding, boating, hiking, cooking and eating… Signed by: Jim Richardson. Made at least 30 starts for the fourth consecutive season (since 2015), one of seven ML pitchers to do so in that span...Pitched in his 200th career game on 4/19 vs PIT and made his 200th start on 5/23 vs ATL...Struck out 10 batters and allowed just 1 hit on 4/19 vs PIT...Went 5-2 with a 2.16 ERA (14 ER, 58.1 IP) in his first 10 starts of the season...Did not allow a home run in 28.1 consecutive IP in parts of 6 starts, 4/8-5/6...Surrendered just one home run in both April and May, becoming the first Phillies pitcher to allow 1 or 0 home runs in consecutive months (min. 5 GS) since 2001 (Brandon Duckworth, Aug.-Sept.)...Posted a 0.90 ERA (3 ER, 30.0 IP) in five May starts, becoming the seventh Phillie ever to make at least five starts in a month with a sub-1.00 ERA...His 0.90 ERA in May trailed only Jacob deGrom (0.69) and Justin Verlander (0.86) among qualifying pitchers...Had a 13.1-inning scoreless streak, 5/6-18, and an 18.2-inning scoreless streak (longest of the season by a Phillie), 5/23-6/3...Hit a home run on 6/3 at SF...Went 4-0 with a 2.80 ERA (11 ER, 35.1 IP) and 2 HR allowed in six July starts... Became the first Phillies pitcher ever to go 4-0 or better in a month after going 0-4 or worse the previous month...His 11 strikeouts on 9/4 at MIA were his most in a game since 6/17/16 vs PIT...Posted a 3.11 ERA (44 ER, 127.1 IP) in his first 22 starts and a 6.35 ERA (32 ER, 45.1 IP) in his final nine... Induced a career-high 22 groundball double plays, T-6th-most in MLB and most by a Phillie since 2010 (Halladay, 25)...Allowed more unearned runs (17) than any pitcher in MLB. Led the team in wins (14)...Totaled at least 30 starts for the third consecutive season... Held RHH to a .209 AVG (73-350)...Named NL Pitcher of the Month for August (4-1, 1.21 ERA), when he led all NL starters in ERA and T-1st in wins...In 12 starts following the All-Star break, posted a 2.28 ERA (17 ER, 67.0 IP), which ranked 6th among qualifying NL pitchers (3rd among starters) in that span...Made 20 road starts, the most by a CHI pitcher since 1980 (Rick Reuschel, 21)...Walked 3 or fewer batters in 29 of 30 starts, averaging 2.94 BB/9.0 IP (55 BB, 168.1 IP)...Collected a season-high 10 SO, 4/9 at MIL (13th double-digit strikeout game of his career)...Had a stretch of 72 consecutive starts (9/2/14-4/22/17) of at least 5.0 innings snapped, 4/28 at BOS (4.1 IP); that was the longest stretch by a CHI pitcher since 1908...Belted his 5th career HR, 6/17 at PIT (Ivan Nova)...Collected his 1,000th career SO (Trea Turner) on 6/27 at WSH...Exited his start on 9/4 at PIT (right hamstring strain) and missed over 2 weeks before his next start on 9/21 at MIL...Finished his CHI career with a .182 OPP AVG at Wrigley Field, the lowest all-time mark among CHI starting pitchers...Went 1-1 with a 0.84 ERA (1 ER, 10.2 IP) in 2 postseason starts: Game 4 of the NLDS on 10/11 vs WSH and Game 4 of the NLCS on 10/18 vs LAD...His 66 career postseason strikeouts are the most in CHI history. Named to the N.L. All Star Team for the first time in his career, Jake went 18-8 with a 3.10 ERA (68 ER/197.1 IP) ... limited opponents to an MLB-best .194 batting average...Ranked among N.L. leaders in wins (18, t-3rd), ERA (3.10, 10th), opponent's OBP (.277, 6th), slugging (.306, 1st) and OPS (.583, 2nd)...Notched nine starts of at least 6.0-scoreless innings, tied for the most in the majors (also, Tanner Roark) ... his 11 starts allowing three or fewer hits also tied for the major league lead (with Dan Straily and Tom Koehler)...Went 11-3 on the road, the second-most road victories in the majors (Max Scherzer, 12-4)...Allowed five or fewer hits in a career-best 12-straight starts, July 19-September 23...Tossed his second career no-hitter, and the 15th in franchise history, April 21 at Cincinnati … he walked four batters and struck out six ... also went 2-for-4 at the plate with a walk and run scored. w Became just the fourth reigning Cy Young Award winner to throw a no-hitter, joining elite company that includes Sandy Koufax (1964), Bob Gibson (1971) and Clayton Kershaw (2014). w Became the eighth pitcher in major league history to throw a no-hitter in consecutive seasons, the first since Tim Lincecum in 2013-14 … he is the second pitcher in major league history to throw a no-hitter on the road in consecutive campaigns, joining Kansas City's Steve Busby from 1973 (at Detroit) and 1974 (at Milwaukee). w His no-hitter came in just his 10th start since throwing his first no-hitter, August 30, 2015 at Los Angeles (N.L.) … marks the third-shortest span between no-no's in major league history … all notes thanks to Elias...Was named the N.L. Pitcher of the Month in April, capping a streak in which he was given the award for three-consecutive months, beginning in August 2015 ... was the first N.L. pitcher to accomplish the feat and third major leaguer overall, joining Pedro Martinez (April‐June, 1999) and Johan Santana (July‐September, 2004)...Became the first pitcher in major league history according to Elias to record six-consecutive regular season home starts without allowing a run, August 9, 2015 to April 16, 2016...Won his first six starts of the season, becoming the first Cubs pitcher to do so since Mordecai Brown won each of his first 11 starts to begin the 1908 campaign … thanks to Ed Hartig...Had a 19-0 record in 19-straight road decisions, June 4, 2015 through June 27, 2016 … he is the only pitcher since 1913 to have won 19-straight road decisions, surpassing Atlanta's Greg Maddux (18 games, 1994-1995)...Tossed a Cubs franchise record 24‐consecutive quality starts from June 21, 2015 at Minnesota to April 21, 2016 at Cincinnati … was the longest streak since Bob Gibson established the major league record (since 1914) for most consecutive quality starts with 26 during the 1967‐68 seasons...Recorded a career- and franchise-best 20-consecutive wins from August 4, 2015 to May 25, 2016 … is tied for the third-longest streak in MLB history since 1913...Struck out double‐digit batters four times: May 14 vs. Pittsburgh (11), June 5 vs. Arizona (12), June 17 vs. Pittsburgh (11) and September 23 vs. St. Louis (10) … in the start against Arizona, he struck out 11 batters in the first 4.0 innings, becoming the first Cubs starter since at least 1974 to accomplish the feat...Made his second-career Opening Day start and tossed 7.0-scoreless frames in the Cubs 9-0 triumph at the Angels, April 4 … became the sixth player in Cubs history with at least 7.0 innings pitched and two or fewer hits allowed on Opening Day...Allowed his first run of the season in the fourth inning, April 10 at Arizona (Paul Goldschmidt homer) … snapped a career‐long 32.0‐ consecutive scoreless innings streak dating to September 22, 2015 vs. Milwaukee … was tied for the fifth-longest streak by a Cubs starting pitcher since 1900...Recorded 52.2‐consecutive scoreless innings at Wrigley Field from July 25, 2015 to April 28, 2016, the longest streak in Wrigley Field history and the second‐longest in the modern era at any home park behind the White Sox Ray Herbert's 54.0‐straight scoreless innings at Comiskey Park spanning 1962‐63 (thanks Elias)...Finished April 5-0 with a 1.00 ERA, becoming just the seventh pitcher to win five games in April with an ERA of 1.00 or lower, joining Walter Johnson in 1913, Fernando Valenzuela in 1981, Randy Johnson in 2000, Cliff Lee in 2008, Zack Greinke in 2009 and Ubaldo Jimenez in 2010 (according to Elias). w The 1.00 ERA is the fourth-lowest for a Cub in the season's opening month (min. 25.0 IP)...The Cubs won 23‐consecutive games started by Jake Arrieta from July 30, 2015 to May 25, 2016, tied for the longest streak in baseball history since 1913 … also done by Atlanta's Kris Medlen in 2010‐12 … thanks to STATS Inc...Allowed at least four earned runs in three‐straight starts, June 27‐July 8, for the first time since May 23‐June 8, 2012 (four‐straight) … had a 1.74 ERA (19 ER/98.0 IP) in his first 15 starts...Went 12‐4 with a 2.68 ERA (34 ER/114.1 IP) in the season's first half en route to his first-ever All-Star bid ... did not pitch in the game...Allowed a solo homer, August 12 vs. St. Louis, his first opposing homer at Wrigley Field since July 25, 2015, snapping a streak of 15‐straight home starts without allowing a dinger … was the longest streak by a Cubs starter since Bill Lee went 17‐straight home starts from 1942‐47...At the plate, he won the Silver Slugger award, batting .262 (17-for- 65) with two doubles, one triple, two homers and seven RBI ... his 17 hits led all pitchers and were the most by a Cubs pitcher since Carlos Zambrano (28) in 2008...Named one of three finalists for the Rawlings Gold Glove Awards after notching five defensive runs saved according to Fangraphs...Went 2-1 with a 3.63 ERA (9 ER/22.1 IP) in four postseason starts while fanning 25 batters...Hit a three-run homer in Game Three of the NLDS at San Francisco off Madison Bumgarner...Did not allow a hit over his first 5.1 innings pitched in Game Two of the World Series, marking the longest no-hit bid in a Fall Classic game since Jerry Koosman of the New York Mets tossed 6.0 innings of no-hit ball in Game Two of the 1969 World Series ... finished the start by allowing only one run on two hits over 5.2 innings en route to the first World Series victory by the Cubs...Won Game Six of the World Series, becoming the third Cubs pitcher to win multiple starts in a single Fall Classic, and the first since Lon Warneke in 1935 ... struck out nine over 5.2 innings, the most in a World Series game by a starter who tossed no more than 5.2 innings ... additionally, his nine strikeouts were tied for the second-most in Cubs history in a World Series start. Jake Arrieta was named the N.L. Cy Young Award winner ... was 22-6 with four complete games, three shutouts and a 1.77 ERA (45 ER/229.0 IP) in 33 starts for the Cubs ... became just the fifth pitcher to have at least 22 wins with no more than six losses and an ERA under 2.00 since the ERA became an official stat (1912 in the N.L., 1913 in the A.L.) ... joined Sandy Koufax (1963), Denny McLain (1968), Ron Guidry (1978) and Dwight Gooden (1985). Logged a miniscule 0.41 ERA (4 ER/88.1 IP) and went 11-0 in 12 starts beginning August 4 through the end of the season ... that is the lowest ERA for any pitcher from August 1 through season's end since ERA became an official stat. Is the only pitcher in the earned run era to go 11-0 or better with an ERA of 0.41 or better in a 12-start span ... surpasses Bob Gibson in 1968, who went 12-0 with a 0.50 ERA in a 12-start stretch ... thanks to Elias. Recorded a 0.75 ERA (9 ER/107.1 IP) and was 12-1 with two complete game shutouts in 15 starts in the season's second half ... that is the lowest second-half ERA since the All-Star Game was instituted in 1933. His 22 victories are the most by a Cub since Fergie Jenkins was 24-13 in 1971, and he was Chicago's first 20-game winner since Jon Lieber was 20-6 in 2001. Became the first major league pitcher ever to finish a season with 20-straight quality starts ... the run, which began June 21, also surpassed the previous Cubs mark of 17-consecutive quality starts by Lon Warneke in 1933. w Held opponents to a .150 average (76-for-505), a .200 on-base percentage and a .210 slugging mark in his final 20 starts. w Hit as many home runs (2) as he allowed (2) during this stretch. Struck out 12 and walked one in his no-hit effort, August 30 at Los Angeles ... threw 116 pitches in Chicago's first no-hit performance since Carlos Zambrano turned the trick against the Astros at Miller Park, September 14, 2008. w Completed his no-hitter by striking out the side in order in the ninth inning ... became the first pitcher to secure a no-no by striking out the side in order in the ninth since Sandy Koufax struck out his final six Cubs faced in his perfect game in 1965. Ended the regular season having won his final 11 decisions ... became the fourth Cubs pitcher in the modern era to finish a season with a winning streak that long. w Rick Sutcliffe won his last 14 decisions in 1984, Ed Reulbach won his last 12 in 1906 and Milt Pappas won his last 11 in 1972 ... thanks to Elias. Finished the regular season with a career-high 22.0-inning scoreless streak dating to September 22 vs. the Brewers. Did not allow a run in his final 40.2 innings at Wrigley Field, the longest scoreless stretch for any pitcher since the park opened in 1914. Logged four complete games and three shutouts ... the four complete games were the most by a Cub since Kerry Wood had four in 2003 ... the three shutouts were most by a Cub since Greg Maddux had four in 1992. Went 13-1 with a 1.60 ERA (22 ER/124.0 IP) in 18 road starts ... the 13 road wins and 1.60 ERA both led the majors. w His .929 road winning percentage is the best single-season mark in franchise history (min. 15 starts). w His 13 road victories are the most by a Cub in a single season since Larry Jackson went 14-5 in 1964.The no-hit effort capped an August in which he was named N.L. Pitcher of the Month, as he finished 6-0 with a microscopic 0.43 ERA (2 ER/42.1 IP) in six starts … Elias reports he was the first pitcher to go 6-0 in six starts with an ERA below 0.75 in a month since the White Sox Jim Kaat was 6-0 with a 0.35 ERA in September of 1974. Carried a no-hitter into the seventh inning twice, and a major-league best five times since the start of 2014. Threw at least 8.0 innings and allowed no more than one earned run in five-straight starts starting with his no-hitter through September 22 … Elias points out that the previous major league pitcher to turn that trick was Roger Clemens in 1997, and the previous to do so that late in the season was Orel Hershiser back in 1988. In four road starts from June 21-July 19, tossed 7.0 or more innings with at least seven strikeouts while allowing no more than run in each outing ... in the last 25 years, the only others to turn that trick are Roger Clemens in 1997, Ervin Santana in 2008 and R.A. Dickey in 2012. Spun his second career complete game shutout, June 21 in Minnesota ... allowed four hits, walked none and struck out seven while throwing a career-high 122 pitches. w Became the first Cubs pitcher on the road to shut out an opponent on four or fewer hits while striking out at least seven batters and not issuing a walk since Rick Sutcliffe against the Mets at Shea Stadium, September 8, 1984. Tossed 7.0-shutout frames in his season debut April 8 vs. St. Louis ... was the ninth time in his career he has shut out the opponent in at least 7.0 innings. Finished April with a 2.03 ERA (6 ER/26.2 IP), his best ERA in the opening month … led all Cubs starters in April in ERA, wins (3) and innings pitched (26.2). Tossed 8.0 innings May 12 vs. New York (N.L.) … recorded his fifth-career double-digit strikeout game, fanning 10 batters, as the Cubs won, 6-1 … faced the minimum through 7.0 innings thanks to two double plays. May 17 vs. Pittsburgh, became the first Cubs pitcher since Jeff Samardzija in May of 2013 to take a loss despite allowing one or no runs in at least 7.0 innings of work. July 12 vs. White Sox, tossed a two-hit complete game effort and hit his first career homer, a solo shot ... became the second pitcher ever to homer in a complete game interleague win, joining the Braves Denny Neagle in 1997 vs. the Tigers. w Finished the game by striking out the side in the ninth ... the previous pitcher to allow fewer than three hits and strike out the side in a perfect ninth inning was Clayton Kershaw in 2011 against the Tigers. Named N.L. Pitcher of the Month for September ... became the first N.L. pitcher to win the award in consecutive months since Clayton Kershaw of the Dodgers won in June and July of 2014 en route to the Cy Young. Spun his third shutout of the campaign, September 22 vs. Milwaukee ... allowed three hits, walked one and struck out 11. Tossed a five-hit shutout and struck out 11 in a 4-0 Wildcard win at Pittsburgh, October 7 ... became the sixth pitcher in major league history to toss a shutout while allowing five or fewer hits while striking out at least 10 in their first career post-season appearance. w Was the first to turn the trick since San Francisco's Tim Lincecum, October 7, 2010 (NLDS Gm. 1 vs. Atlanta). Jake tied his career high with 10 wins and posted a 2.53 ERA (44 ER/156.2 IP) in 25 starts for the Cubs after starting the season on the 15-day D.L. with right shoulder tightness ...Became the first Cub since 1950 to carry three no-hit bids into the seventh inning in a single season, and was the first Cub in 20 years to record 10-straight quality starts...Posted a 1.46 ERA (13 ER/80.0 IP) and had a 6-1 record in 12 starts at Wrigley Field ...Was the lowest home ERA for any starter in the majors with at least 12 outings...The 1.46 home ERA is the lowest for a Cubs pitcher (min. 12 starts) since Mike Morgan had a 1.38 ERA at Wrigley Field in 17 starts during the 1992 season...Recorded 10-straight quality starts, June 8-July 31, becoming the first Cub to do so since Frank Castillo had 11-straight quality starts in 1994...Was 5-1 with a 1.72 ERA (13 ER/68.0 IP) in that 10-start stretch...Collected four double digit-strikeout games, the first Cub to do so in a single season since Rich Harden had five in 2008...All told, had 18 quality starts ...Recorded a 1.46 ERA (20 ER/123.2 IP) in those outings...Surrendered two or fewer walks in 19 of 25 starts ...Averaged 2.4 walks and 9.6 strikeouts per 9.0 innings...Had a 2.26 ERA (14 ER/55.2 IP) in nine starts against N.L. Central opponents...Finished June 4-0 with a 0.92 ERA (4 ER/39.1 IP) in six starts … marked the lowest ERA for a Cubs pitcher with at least 35.0 innings pitched in June since Rick Reuschel had a 0.92 ERA in June of 1977 (48.2 IP)...Posted a 3-0 record and a 0.95 ERA (3 ER/28.1 IP) in four September starts to close out the season...Took a perfect game into the seventh inning, June 24 vs. Cincinnati...Billy Hamilton broke up the effort with a single to lead-off the seventh...Spun 7.2 no-hit innings in his next start, June 30 in Boston, before Stephen Drew singled to right with two outs in the eighth...Became the first pitcher to take a no-hitter into the seventh inning in consecutive starts since Toronto's Dave Stieb on June 24 and 30, 1988...Entered the seventh with a no-hit bid for the third time, September 16 vs. the Reds ...Had that broken up with one out in the eighth (Brandon Phillips double), but went on to record a complete game, one-hit shutout...Finished with a career-high 13 strikeouts...Had a career-high 16.2 scoreless innings streak, June 3-13...Began the season on the disabled list, March 30 (retro to March 21), with right shoulder tightness...Made five rehab starts between Double-A Tennessee and Single-A Daytona from April 5-26...Was 1-1 with a 2.25 ERA (5 ER/20.0 IP), walking seven and striking out 18...Activated from the disabled list and made his first start of the season, May 3 vs. the Cardinals...Did not allow a run in 5.1 innings pitched, surrendering four hits and two walks while striking out seven in Chicago's 3-0 win...Spun 7.0-shutout innings, allowing two hits and one walk while striking out nine, June 13 at Philadelphia … that began a four-game winning streak in which he had a 0.94 ERA (3 ER/28.2 IP) through June 30...Recorded his first-career extra-base hit, June 18 at Miami, a double off Nathan Eovaldi...Delivered a two-run triple, September 24 vs. St. Louis, the first three-bagger by a Cubs pitcher since August 21, 2012 when Chris Rusin tripled at Milwaukee. Jake went 4-2 and logged a 3.66 ERA (21 ER/51.2 IP) in nine starts for Chicago after he was acquired from Baltimore, July 2 ... between his four stops in the majors and minors, threw a total of 154.2 innings... Between five starts with the Orioles and nine outings with Chicago, he combined to go 5-4 with a 4.78 ERA (40 ER/75.1 IP) in 14 starts ... walked 41 and struck out 60... Held hitters to a .216 batting average, including a .185 mark with the Cubs... Taking away the six runs in 4.0 innings he allowed, August 21 vs. Washington, pitched to a 2.83 ERA (15 ER/47.2 IP) in his eight other starts for the Cubs... Recorded quality starts in five of his nine outings with the Cubs ... allowed 5.92 hits per 9.0 innings... Selected from Triple-A Iowa, made his Cubs debut and received a no-decision in Chicago's 3-2 setback, July 30 vs. Milwaukee (gm. 2) ... optioned back to Iowa following the game... Recalled from Iowa and earned his first victory as a Cub in Chicago's 7-0 triumph, August 16 vs. St. Louis … tossed 7.0-shutout innings of two-hit ball, while walking two and fanning seven (94 pitches)... Surrendered a career-high tying three home runs, September 13 at Pittsburgh, when Pedro Alvarez, Russell Martin and Garrett Jones went back-to-back-to-back in the fourth inning... Went 1-2 with a 7.23 ERA (19 ER/23.2 IP) in three stints with Baltimore prior to the July 2 trade to Chicago ... started the season on the Opening Day roster but was optioned to Norfolk, April 22... Was 7-5 with a 4.08 ERA (36 ER/79.1 IP) in 16 minor league games (15 starts) between Triple-A Norfolk and Triple-A Iowa... Combined to strike out 77 batters compared to 30 walks, good for an average of 8.7 strikeouts per 9.0 innings... Allowed two or fewer earned runs in 10 of his 15 starts, including a complete-game shutout, June 27 vs. Columbus, with Norfolk. Made 22 starts for the O's, finishing second on the team with 10 wins...Was shut down for the year on August 6 and had surgery to remove bone spurs from his right elbow on August 12...Finished third on the team with 119.1 innings pitched and 93 strikeouts...Threw 95.3 pitches per start, second most on the club behind Jeremy Guthrie's 97.5...Was 5-0 with a 3.09 ERA (35.0IP, 12ER) in six starts against the AL Central...His 6.86 runs per game of support was the third-highest in the majors behind Texas' Derek Holland (7.64) and Boston's TimWakefield (6.95)...Picked up his ninth win on June 20 at Pittsburgh to become the first Oriole starter to record nine wins by the end of June sinceKris Benson won his ninth game on June 28, 2006...The last Oriole starter to record his ninth win as early as June 20 was SidneyPonson, who notched his ninth win in 2003 on June 13...Recorded his 10th win of the season July 26 against Toronto to become the first Oriole to notch his 10th win in the month of Julysince Erik Bedard (July 25, 2007)...Allowed 21 homers in 22 starts after allowing nine homers in 18 starts in 2010...The 21 homers allowed tied for 2nd-most inthe AL...Allowed a homer in seven straight starts, April 24-May 25, and allowed two homers in four straight starts from July 7-26...Won a career-high four straight games, April 19-May 15...Set a career-high with nine strikeouts, April 24 against New York...Completed 7.0 innings three times (May 4 at KC, June 10 vs. TB and July 20 vs. BOS)...Held Tampa Bay scoreless for 7.0 innings on two hits and three walks June 10...Made 12 Quality Starts, good for third on the club (Jeremy Guthrie-16 and Zach Britton-13)...Allowed 1.58 HR/9IP, the third-highest average in the majors behind Cincinnati's Bronson Arroyo (2.08) and Toronto's BrettCecil (1.60). Recalled from Triple-A Norfolk on June 10 and beat the Yankees that night in his MLB debut, becoming the third Oriole startingpitcher to beat the Yankees in his debut, joining Koji Uehara (April 8, 2009) and Charlie Beamon (September 26, 1956) ... Became the 19th pitcher in franchise history to win his major league debut (Brian Matusz was the last on August 4, 2009) ... According to Elias, was the first pitcher to beat the defending World Champions in his debut since Atlanta's Kyle Davies beatBoston in 2005 ... Fanned Jorge Posada in the second inning for his first major league strikeout ... Went career-high 7.2 IP on August 5 vs. LAA (no-decision) ... Struck out season-high six in ML debut on June 10 vs. NYY ... Pitched to a 3.78 ERA (47.2IP, 20ER) in his final eight starts, going 5.0 innings or more in seven of them ... Went 2-0 with a 2.60 ERA (17.1IP, 5ER), 13 K's and two BB in his final three starts ... Held righties to a .213 average and .594 OPS compared to .315/.898 for lefties ... Pitched to a 4.27 ERA (78.0IP, 37ER) in 14 GS against winning teams and a 6.04 ERA (22.1IP, 15ER) in four GS against sub-.500 teams ... Made 11 starts for Triple-A Norfolk, going 6-2 with a 1.85 ERA (73.0IP, 15ER) in 12 games (11 starts, 8 Quality) ... At the time of his promotion, was leading the IL in opp. avg. (.189 - finished 14th among all minor leaguers) and was 2nd inIP (73.0) ... 64 strikeouts were 6th-most in the IL ... Named Orioles Minor League Pitcher of the Month for April after going 2-1 with a 1.16 ERA (31.0IP, 5ER) and 27 K's in five starts ... Lefties batted .186 (21-113) and righties batted .191 (27-141) against him in Triple-A ... Allowed three ER or fewer in 16 of his last 17 Triple-A starts (final 6 in 2009 and 10 of 11 in 2010) ... Named the Orioles #4 prospect by Baseball America entering the 2010 season. Spent the season with Class-A Frederick and led the league in ERA (2.87) and finished fourth in strikeouts (120)...Finishedthird on the team in innings pitched (113.0)...Held right-handed hitters to a .165 average (42-254) with a .252 OBP and .244SLG...Pitched to a combined 2.41 ERA (93.1IP, 25ER) in April, May and July but went 0-3 with a 5.03 ERA (19.2IP, 11ER) in 4June starts...Named the Carolina League Pitcher of the Week, May 5- 11, going 1-0 in two starts (12.0 IP) with a 1.50 ERA and 13strikeouts...Allowed two earned runs in 34.0 innings (five starts), April 30-May 21...Selected to the US Team for the XM SatelliteRadio All-Star Futures Game in New York...Pitched 6.0 shutout innings and struck out seven to earn the win in the Team USA's9-1 victory over China in the Olympics...Named the Orioles #4 prospect by Baseball America after the season. Went 1-0 and did not allow a run for the Phoenix Desert Dogs in the Arizona Fall League...Was named to the AFL TopProspects Team after leading the AFL in scoreless innings (16.0) and appearances (14)...Struck out 16 and held opponents to a.154 average...Named the Orioles #7 prospect by Baseball America after the season. April 8, 2018 Philadelphia Phillies activated RHP Jake Arrieta. March 29, 2018 Philadelphia Phillies optioned RHP Jake Arrieta to Clearwater Threshers. March 12, 2018 Philadelphia Phillies signed free agent Jake Arrieta. November 2, 2017 RHP Jake Arrieta elected free agency. October 30, 2014 RHP Jake Arrieta assigned to Cangrejeros de Santurce. October 30, 2014 Cangrejeros de Santurce placed RHP Jake Arrieta on the reserve list. May 3, 2014 Chicago Cubs activated RHP Jake Arrieta from the 15-day disabled list. April 26, 2014 Chicago Cubs sent RHP Jake Arrieta on a rehab assignment to Tennessee Smokies. April 21, 2014 Chicago Cubs sent RHP Jake Arrieta on a rehab assignment to Daytona Cubs. April 5, 2014 Chicago Cubs sent RHP Jake Arrieta on a rehab assignment to Tennessee Smokies. August 16, 2013 Chicago Cubs recalled RHP Jake Arrieta from Iowa Cubs. July 31, 2013 Chicago Cubs optioned Jake Arrieta to Iowa Cubs. July 30, 2013 Chicago Cubs recalled Jake Arrieta from Iowa Cubs. July 2, 2013 Chicago Cubs traded RHP Scott Feldman and C Steve Clevenger to Baltimore Orioles for RHP Jake Arrieta and RHP Pedro Strop. July 2, 2013 Chicago Cubs optioned Jake Arrieta to Iowa Cubs. June 18, 2013 Baltimore Orioles optioned RHP Jake Arrieta to Norfolk Tides. June 14, 2013 Baltimore Orioles recalled Jake Arrieta from Norfolk Tides. May 23, 2013 Baltimore Orioles optioned Jake Arrieta to Norfolk Tides. May 18, 2013 Baltimore Orioles recalled Jake Arrieta from Norfolk Tides. April 22, 2013 Baltimore Orioles optioned Jake Arrieta to Norfolk Tides. October 13, 2012 Jake Arrieta roster status changed by Baltimore Orioles. September 7, 2012 Baltimore Orioles recalled Jake Arrieta from Norfolk Tides. August 28, 2012 Baltimore Orioles optioned Jake Arrieta to Norfolk Tides. August 26, 2012 Baltimore Orioles recalled Jake Arrieta from Norfolk Tides. July 6, 2012 Baltimore Orioles optioned Jake Arrieta to Norfolk Tides. November 2, 2011 Jake Arrieta roster status changed by Baltimore Orioles. August 12, 2011 Baltimore Orioles transferred RHP Jake Arrieta from the 15-day disabled list to the 60-day disabled list. August 6, 2011 Baltimore Orioles placed RHP Jake Arrieta on the 15-day disabled list retroactive to August 1, 2011. Bone spur in his right elbow. June 10, 2010 Baltimore Orioles selected the contract of RHP Jake Arrieta from Norfolk Tides. 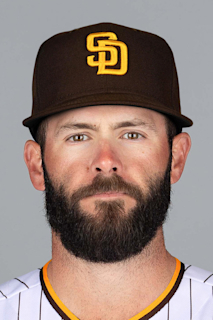 January 20, 2010 Baltimore Orioles invited non-roster RHP Jake Arrieta to spring training. June 12, 2009 Jake Arrieta assigned to Norfolk Tides from Bowie Baysox.